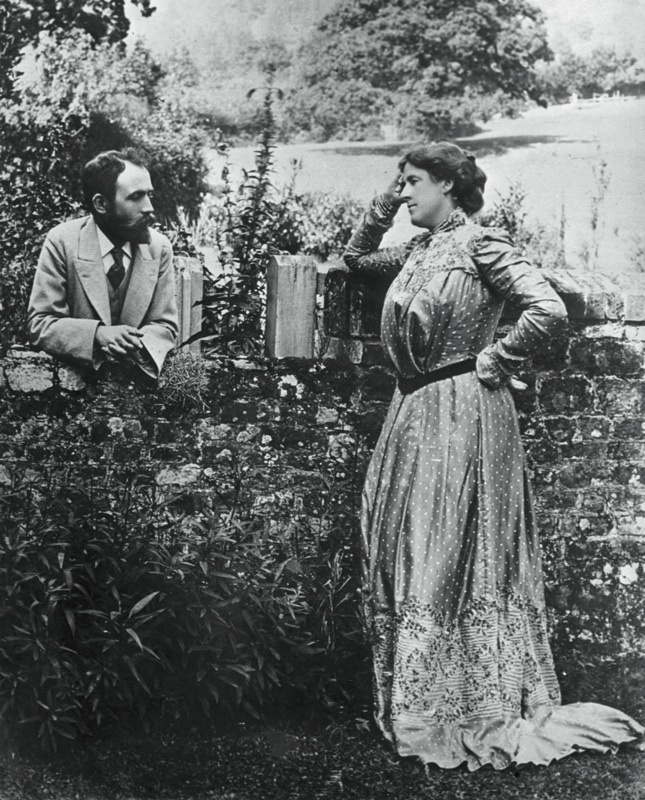 “When bernard berenson presented to me a letter of introduction from an old college friend and was invited to visit my family at our house in the country at Fernhurst in England, his visit was like a chemical reaction.” In 1890, Mary (Smith) Costelloe was bored with life and her husband of five years, and avidly welcomed her guest’s enthusiasm for art and culture. Meeting the young scholar, a Lithuanian Jew recently graduated from Harvard, stirred giddy, girlish feelings that the future Mrs. Berenson recounted years later. That fall of 1884, Mary Smith met Frank Costelloe, a visiting Irish Catholic barrister nine years her senior who seemed her ideal; she swiftly accepted his proposal of marriage and they wed in London the following September. “I had taken it for granted,” she wrote, “that philosophy and philanthropy, and English politics through which philanthropy could be most effective, were the only rational pursuits of human beings and I fully meant to dedicate myself to them, but when I got really into their toils they became dust and ashes in my mouth.” After several years focused on Frank’s activities, with one young child and another on the way, she confided to her journal that hers had become a one-sided marriage, leaving no time to complete her education. She began writing art-historical pamphlets and scholarly articles, sometimes under the pseudonym Mary Logan. In 1894, she co-wrote The Venetian Painters of the Renaissance with Bernard, although—at her mother’s insistence—she asked the publisher to omit her name as coauthor. Other publications followed, on individual artists as well as Italian schools of painting. These became quasi-textbooks for the emerging discipline of art history in the United States, and over the years, Mary secured her own reputation as a scholar and connoisseur of Italian Renaissance painting. The Berensons’ lives and their study of art together are well known, including their extensive picture-dealing while working as intermediaries for art dealers, including the unscrupulous British dealer Joseph Duveen, and for wealthy collectors such as Isabella Stewart Gardner in Boston. Well known, too, were their ardent love affairs, which they dissected seemingly ad infinitum to each other until Mary tried (unsuccessfully) to throw herself out of a window in 1918 upon learning of yet another liaison on Bernard’s part. Diane E. Booton is an art historian and a specialist in the history of the book. The quotations in this article are reprinted, with permission from the Camphill Village Trust, from an undated autobiographical narrative by Mary Berenson preserved among the Berenson family papers at Houghton Library (MS Am 2013).